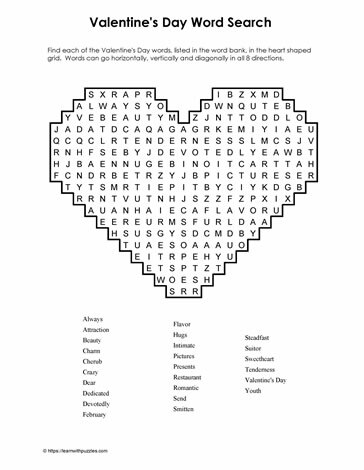 Valentine's Day Wordsearch. Here is a Valentine's Day printable wordsearche, suitable for use with digital and Google classrooms, and the homeschooling environment. Students in elementary 4,5,6 grade classrooms will benefit from brain engagement to help build vocabulary skills. Problem solving skills activated to complete this downloadable word search puzzle.